Resident Evil movie company behind deal. The company behind the Resident Evil films has bought the movie rights to Capcom's stylish action game Devil May Cry. Screen Gems, a subsidiary of Sony Pictures Entertainment's Columbia TriStar Motion Picture Group, aims to kickstart a new genre franchise according to a Variety report. Kyle Ward, one of the writers of the upcoming Kane & Lynch movie, has been hired to pen the script. It's all about Dante, thank goodness, who avenges his mother's murder by killing demons. Sounds about right. 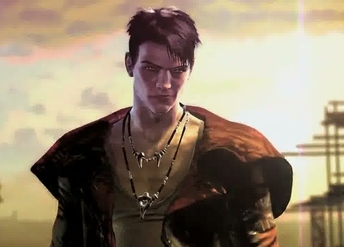 In videogame land, Devil May Cry is undergoing a reboot at the hands of Enslaved developer Ninja Theory.